Twice the versatility is yours when you order a Reversible Medium Oneness stole. Select two brocades, one for the front and one for the back, along with your choice of embroidery and fringe colors. You may even have different embroidery colors on the front and the back! The finished stole measures 40" from the nape of the neck down to the end of the fringe and is 4.5" wide. For a chart of available fabrics, Click Here. 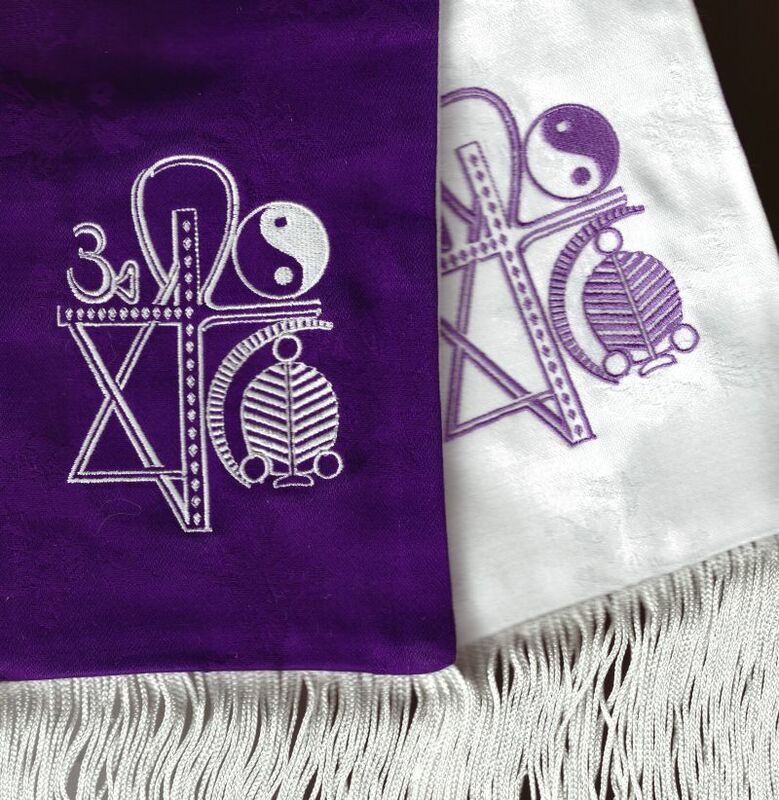 The Oneness Symbol is embroidered at each end on both front and back sides (a total of 4 symbols). Of course, if you don't see the embroidery color combination you'd like, just give us a call at 877-663-6377 to discuss the details of your stole.